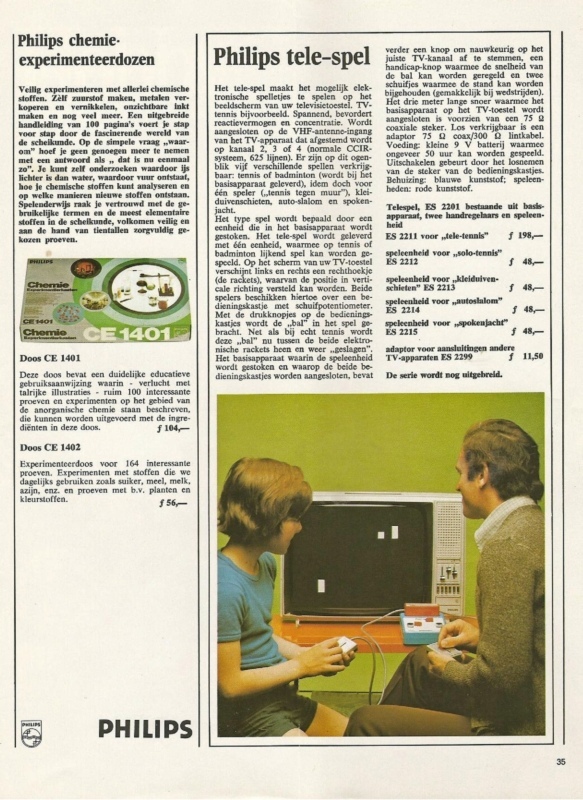 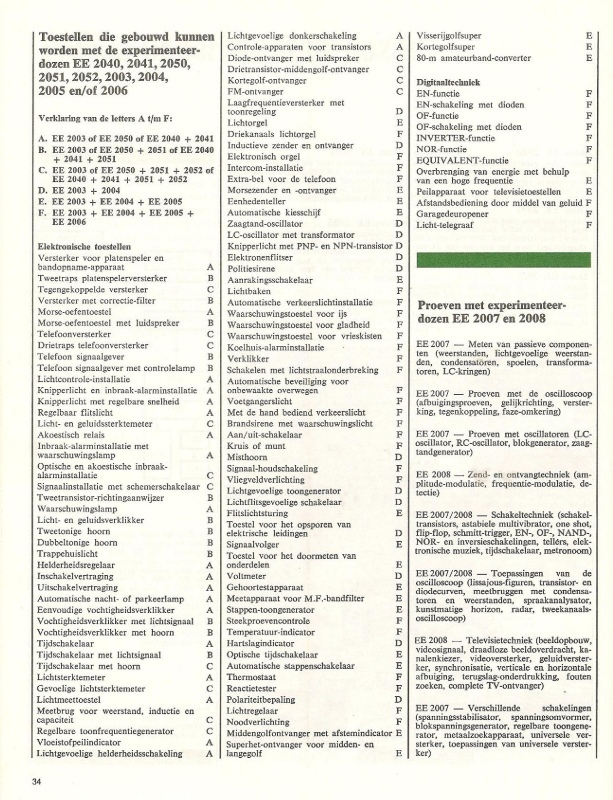 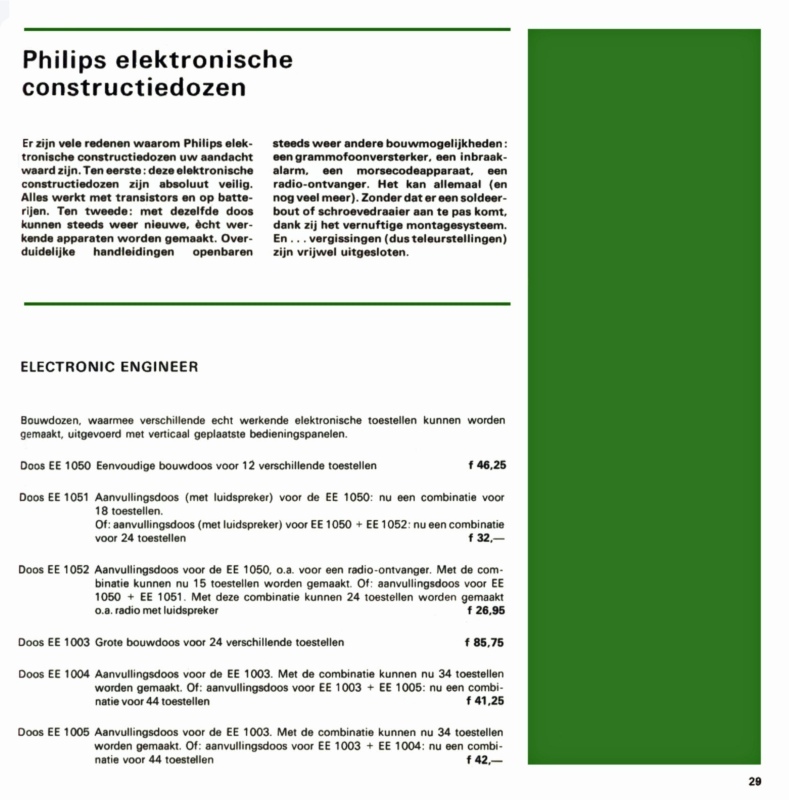 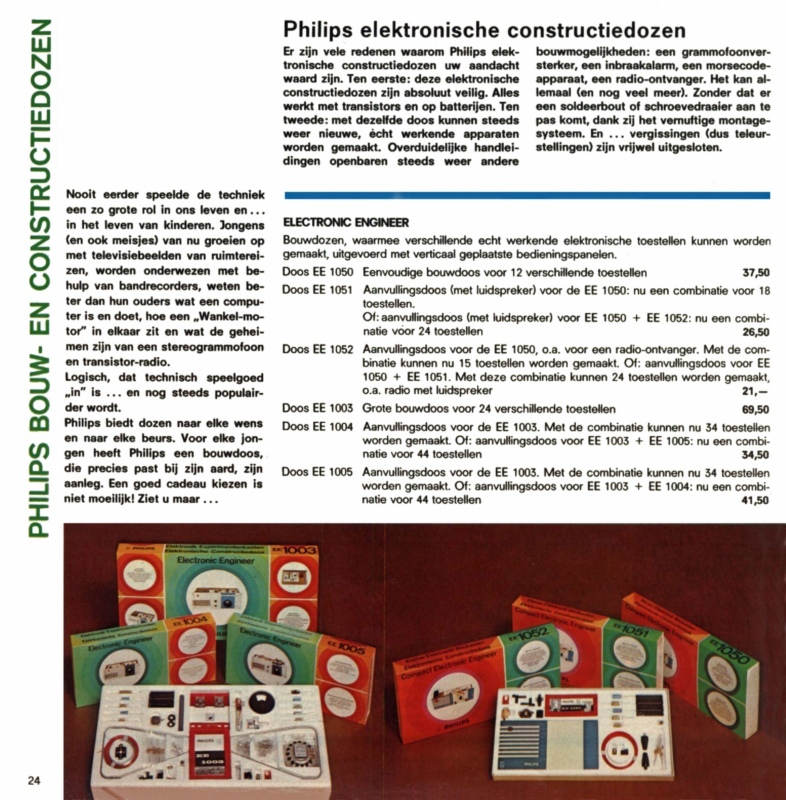 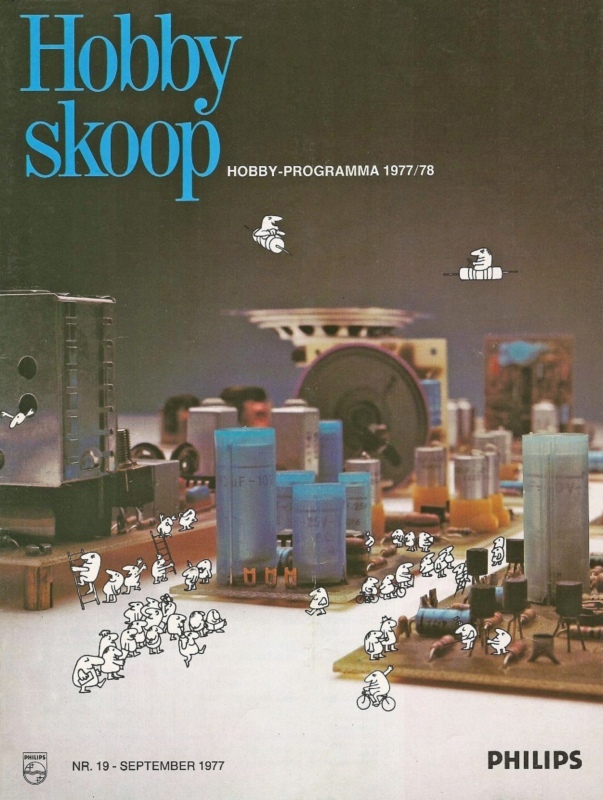 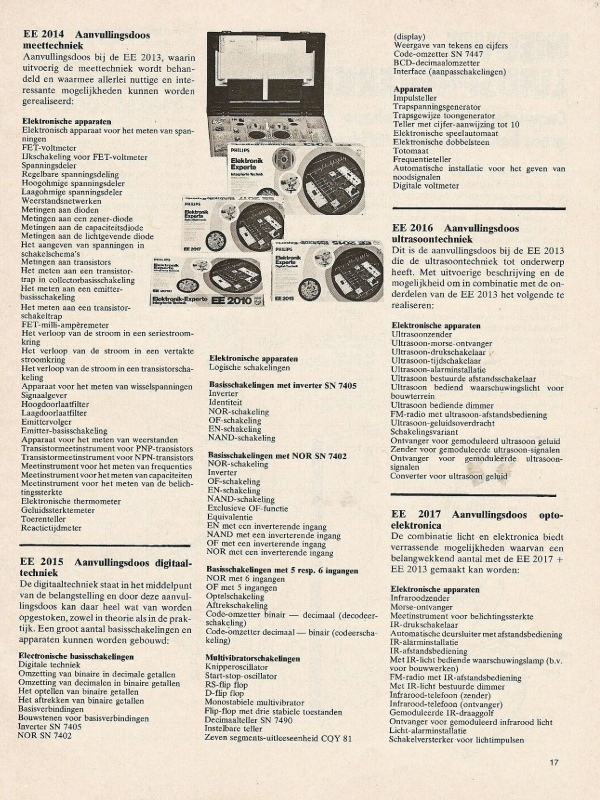 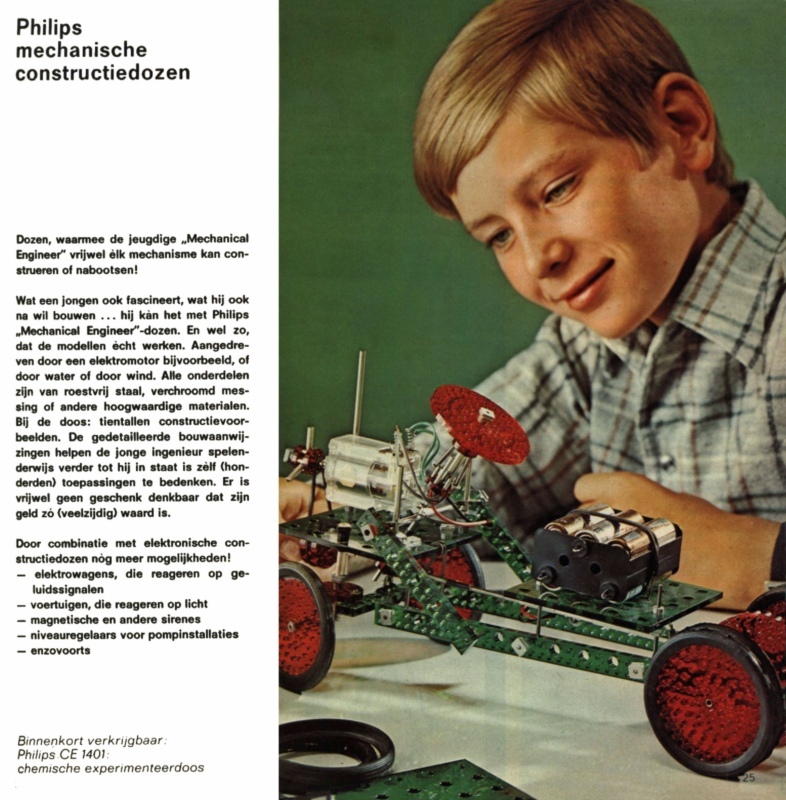 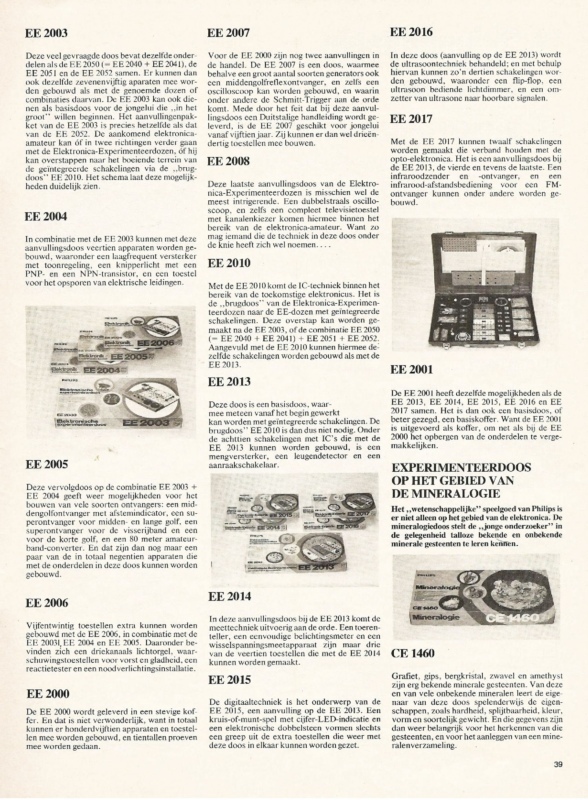 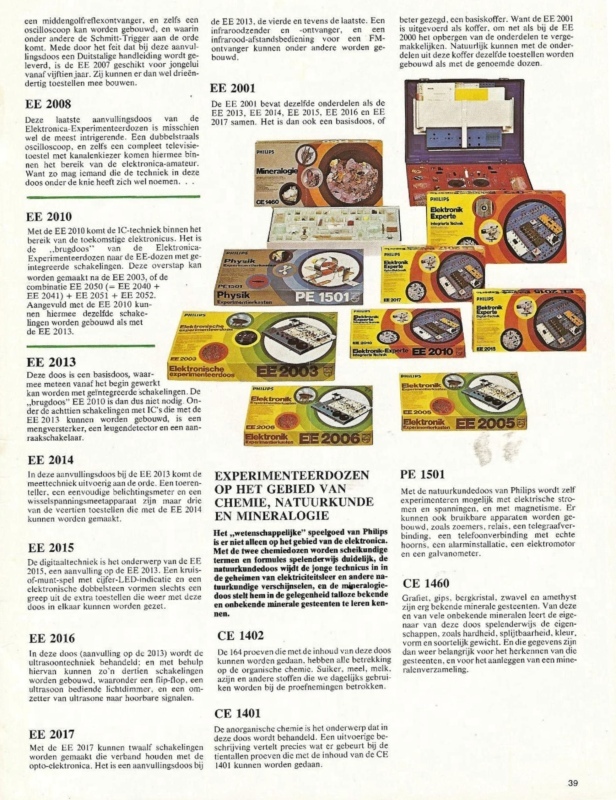 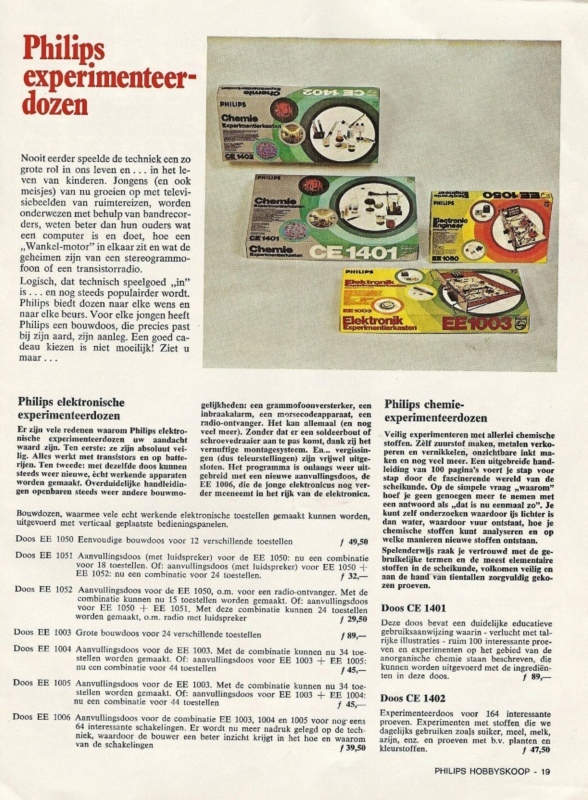 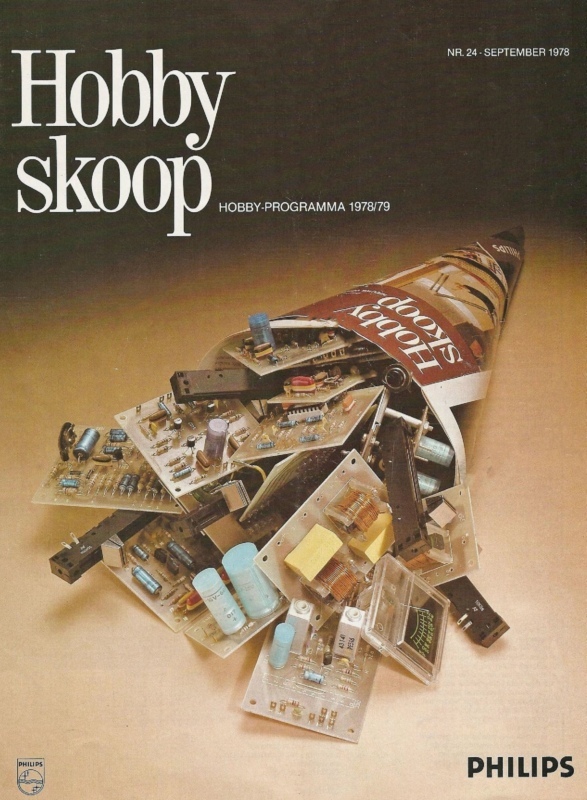 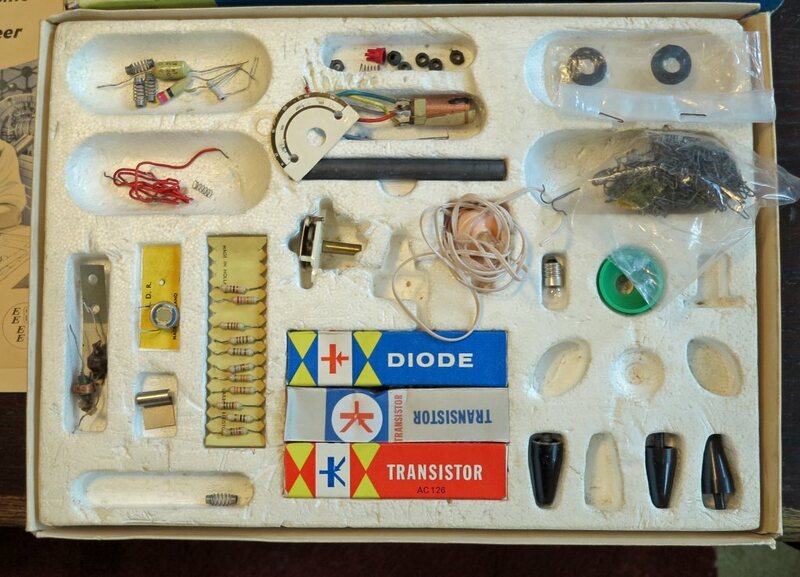 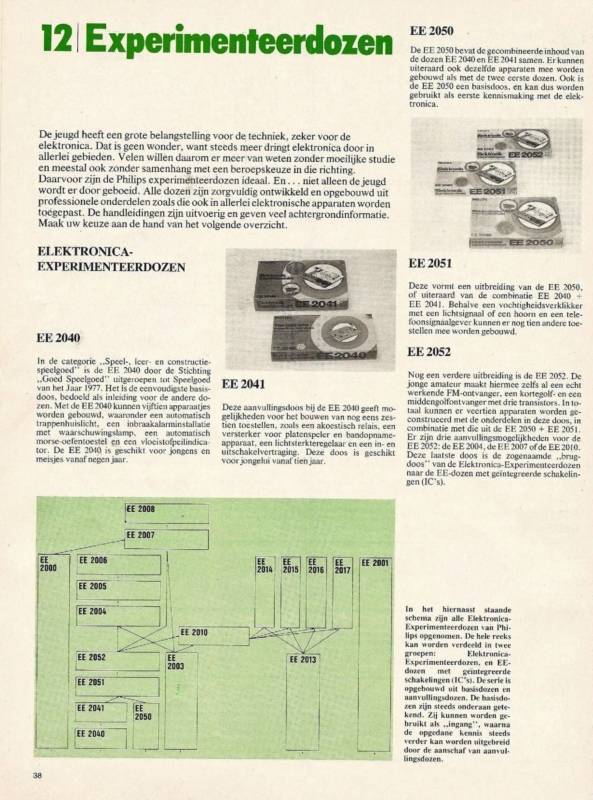 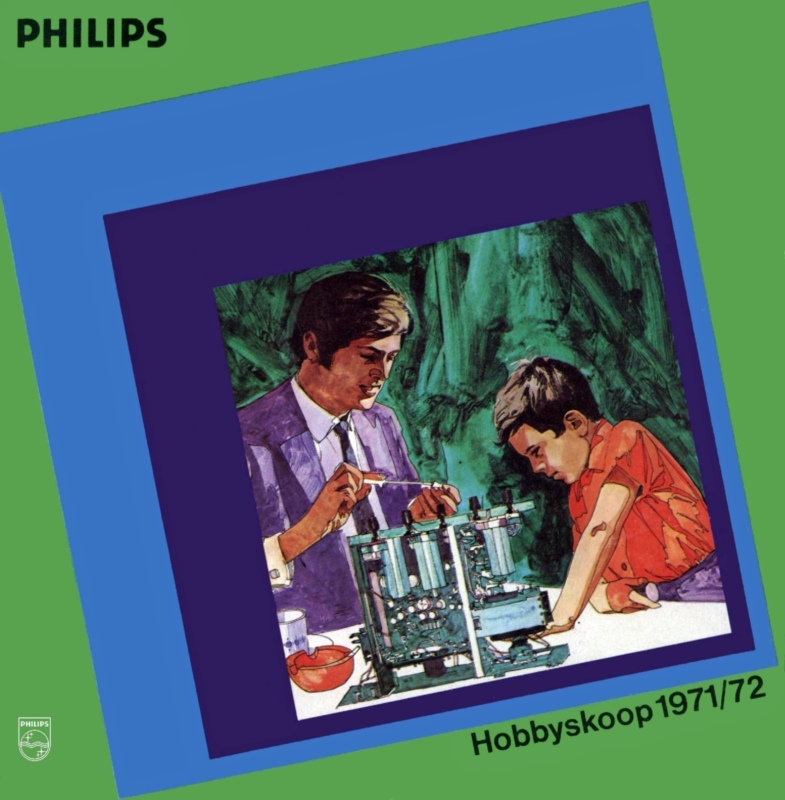 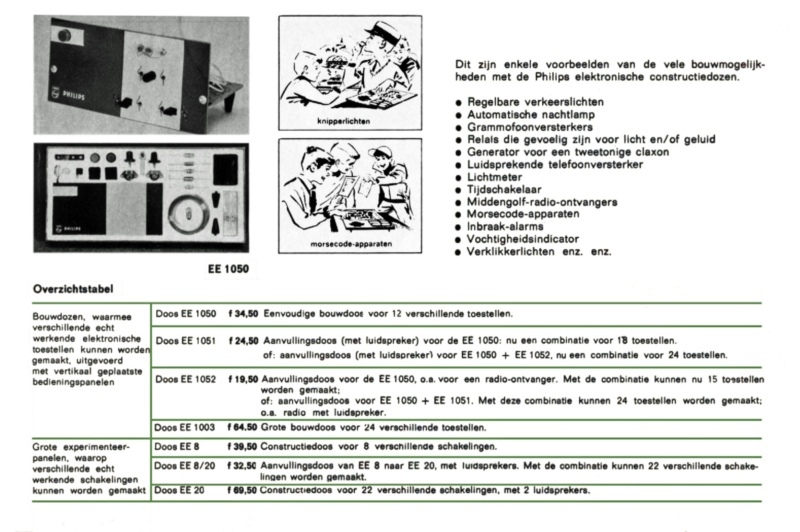 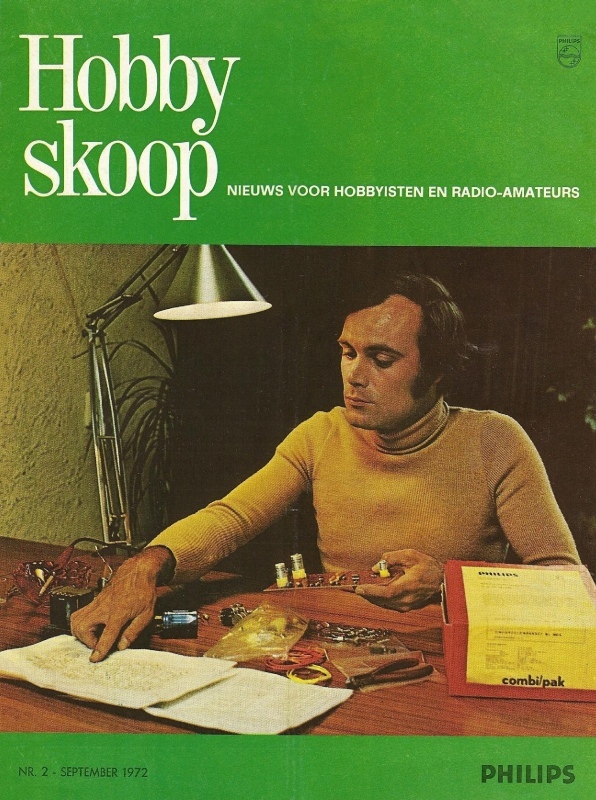 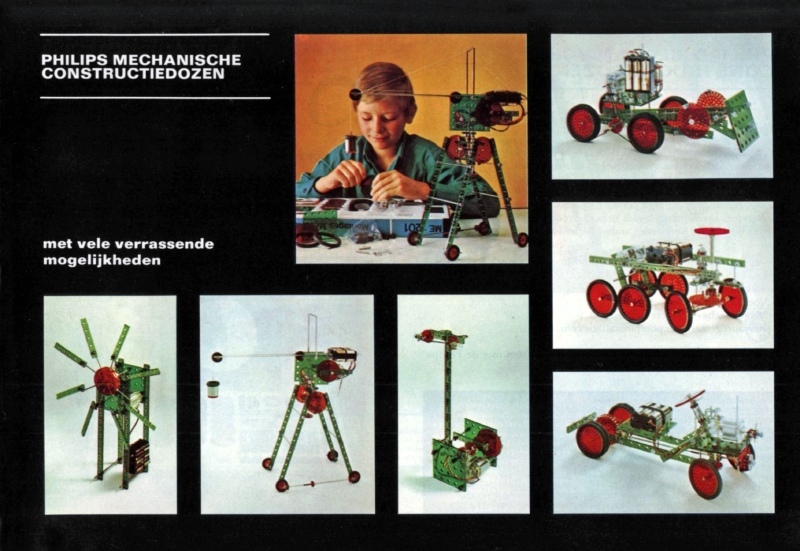 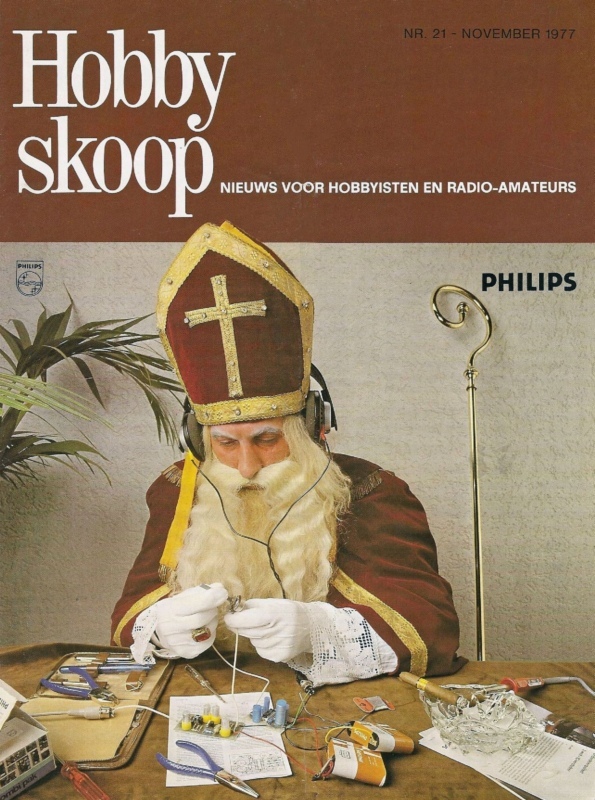 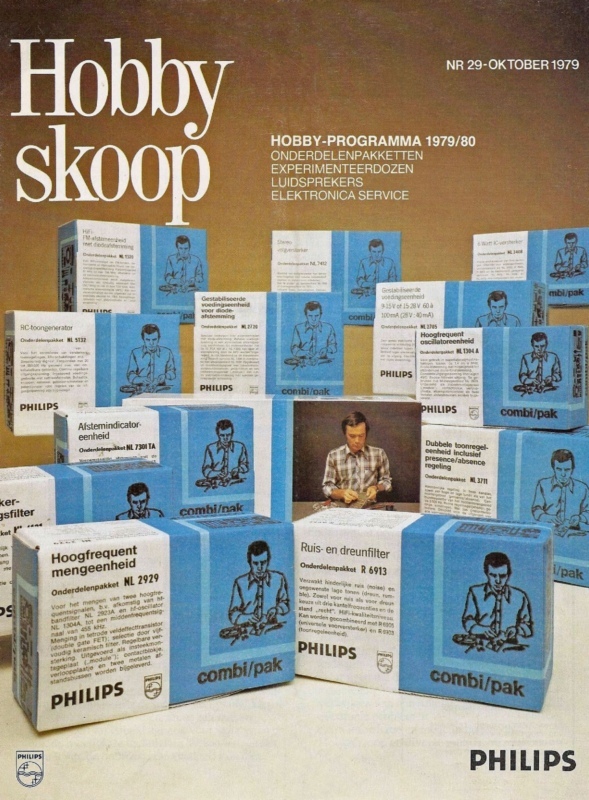 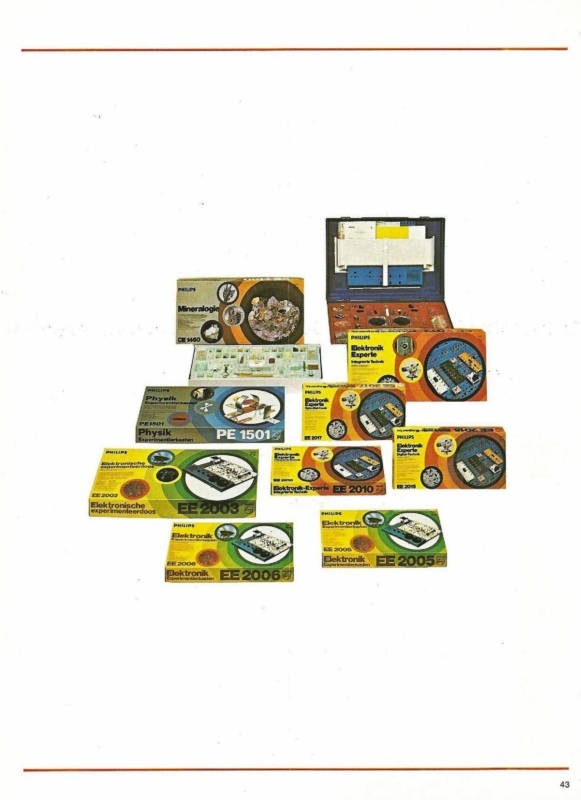 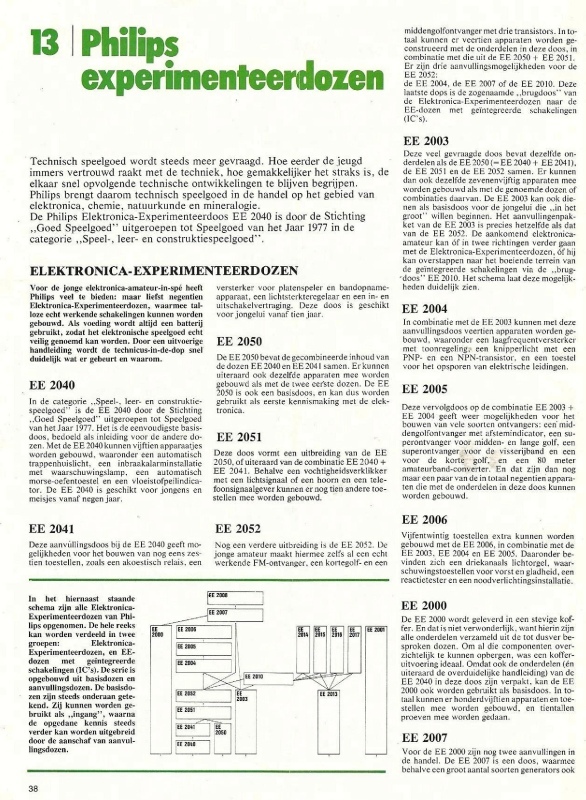 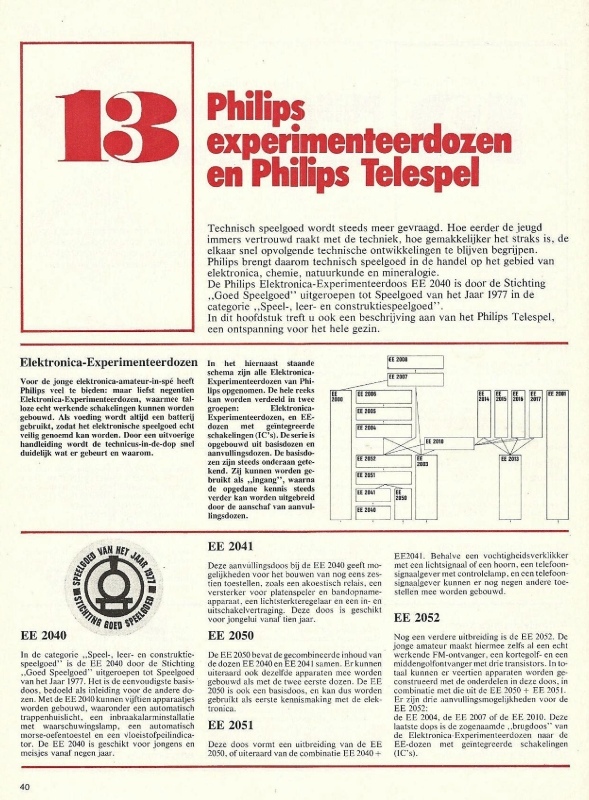 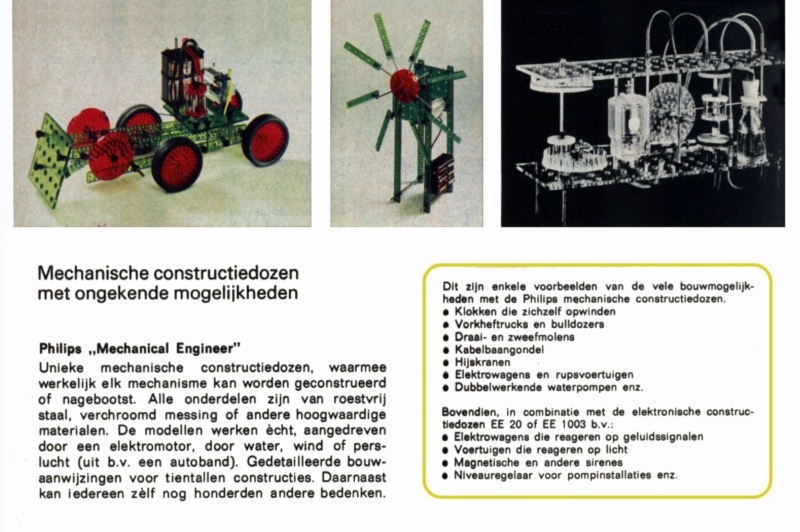 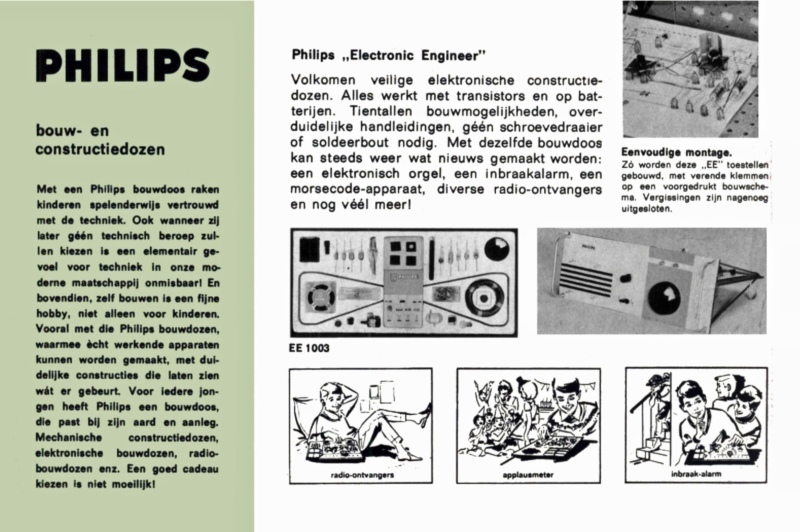 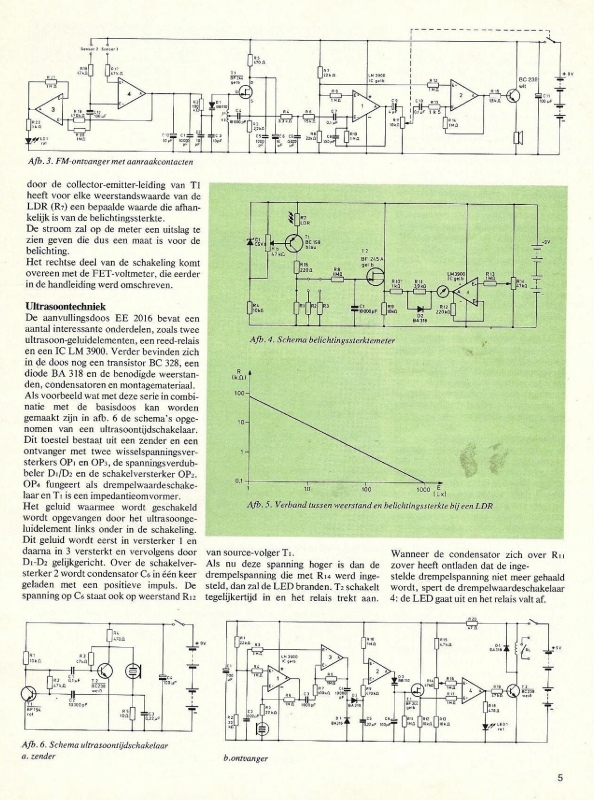 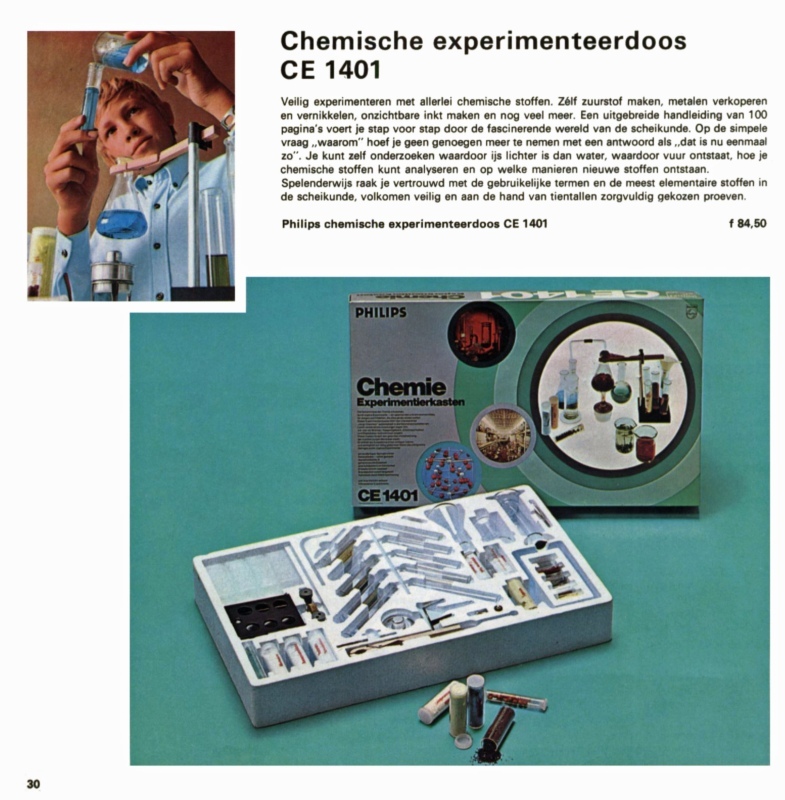 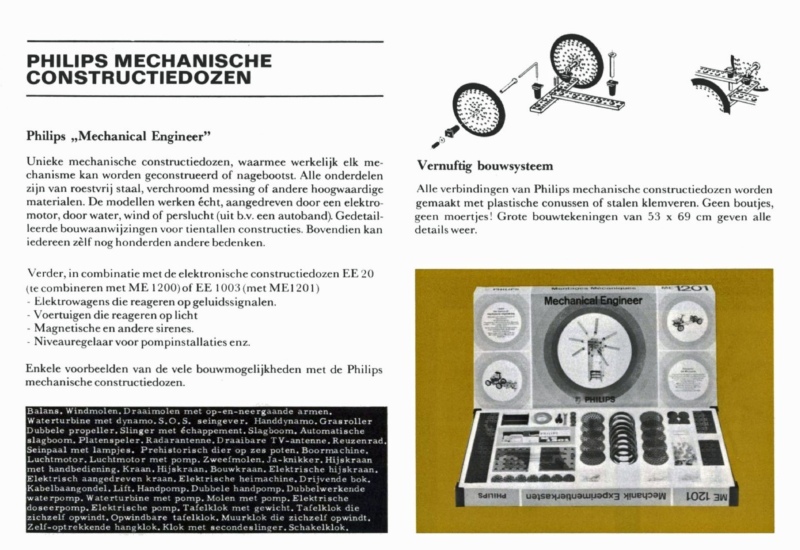 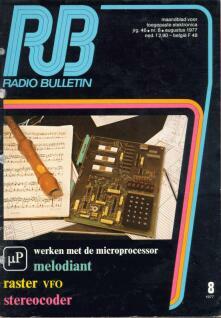 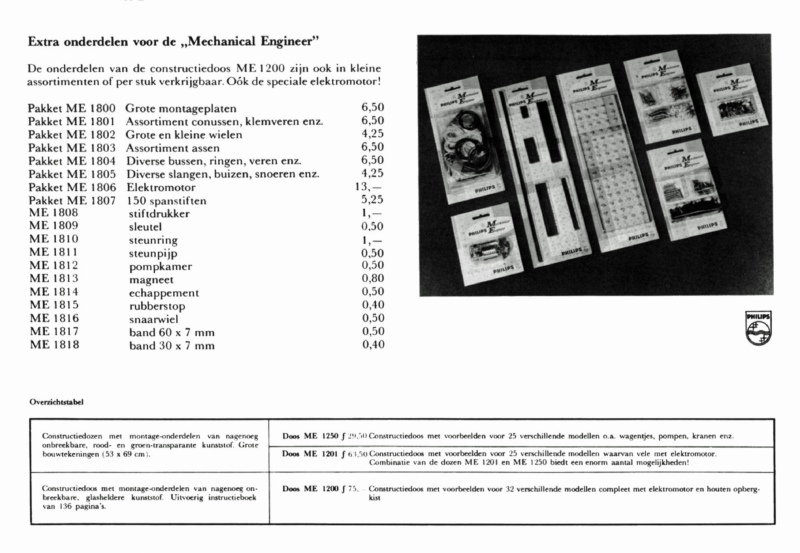 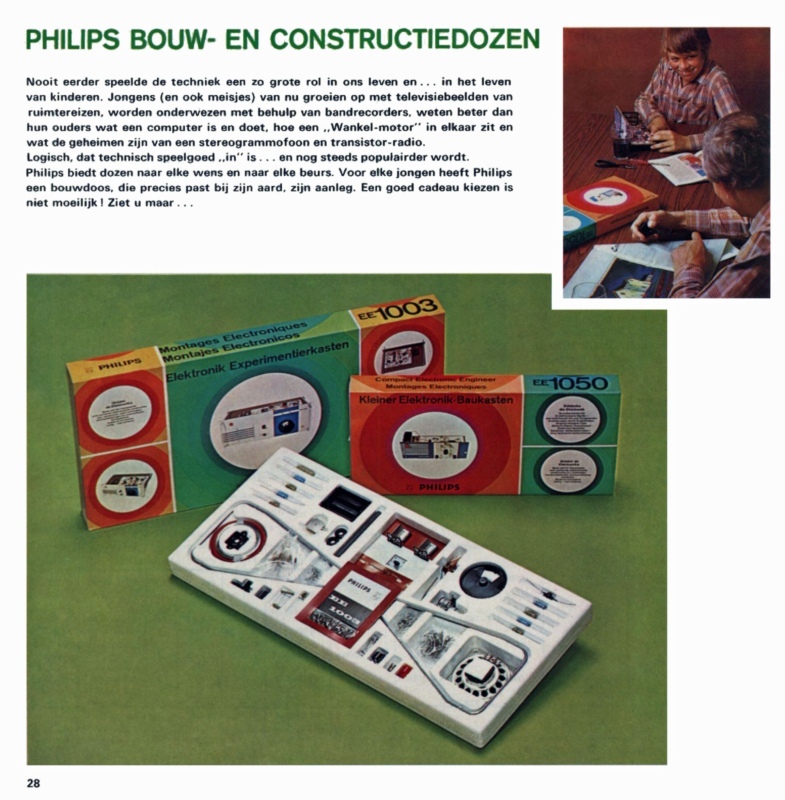 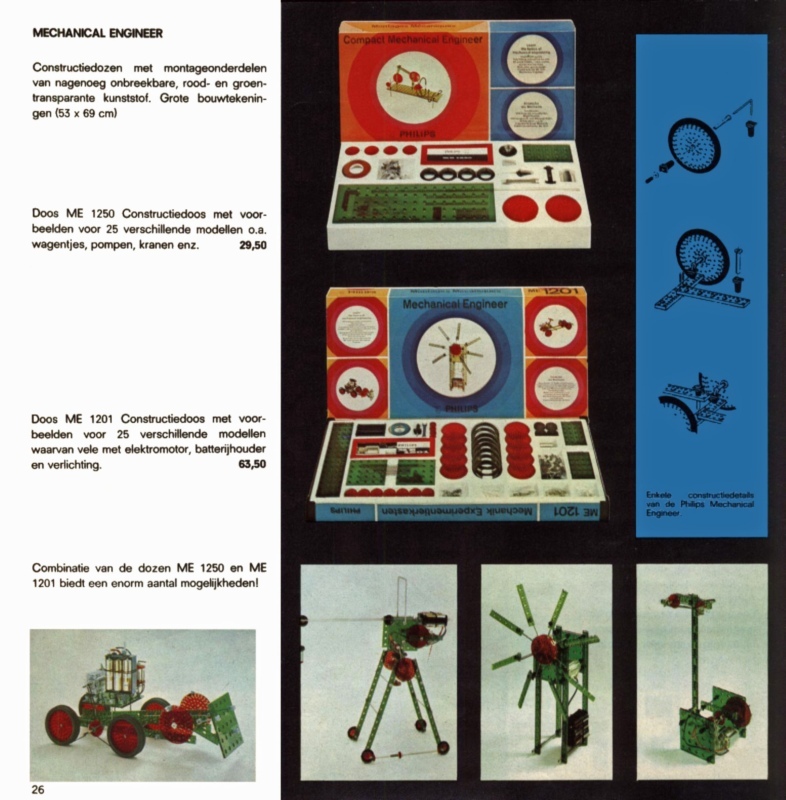 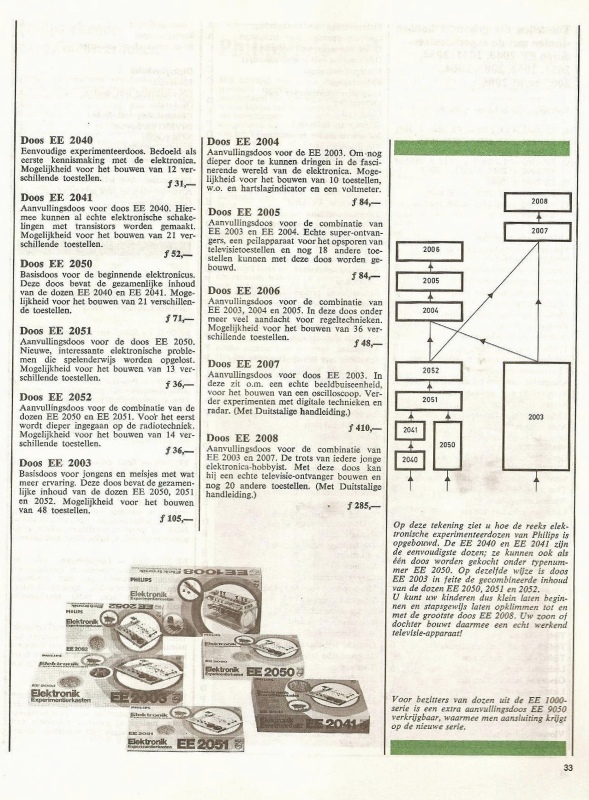 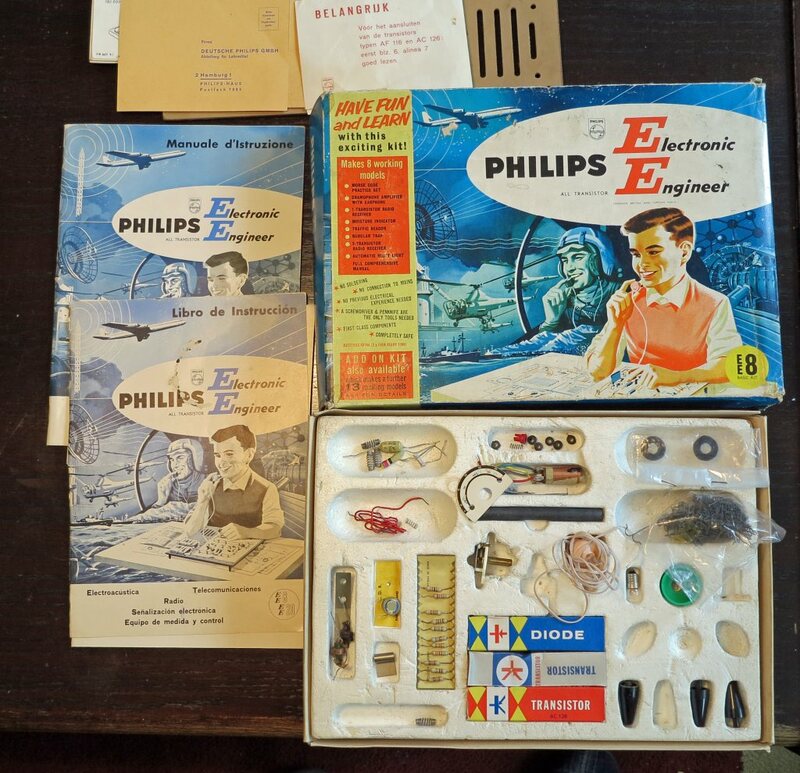 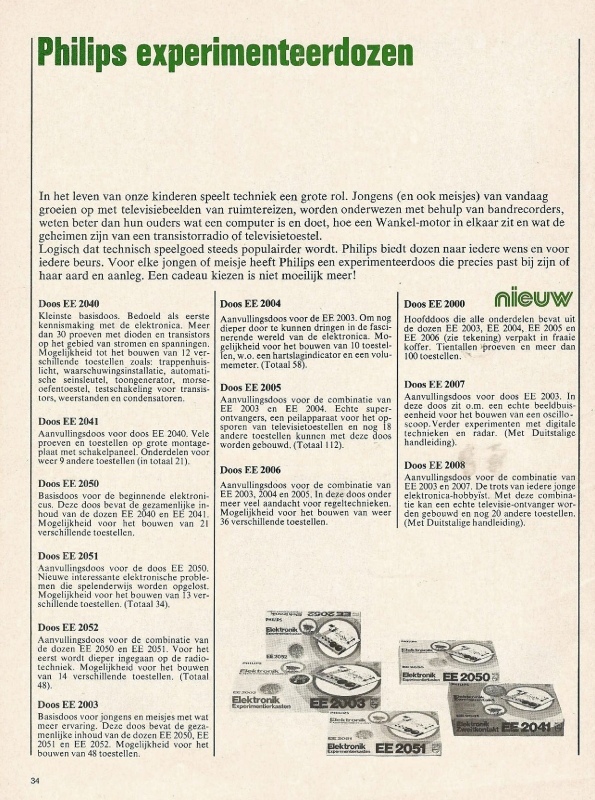 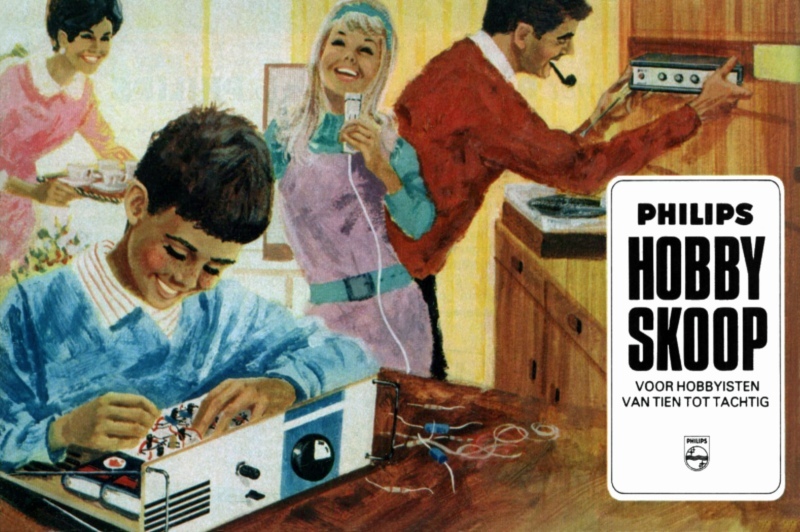 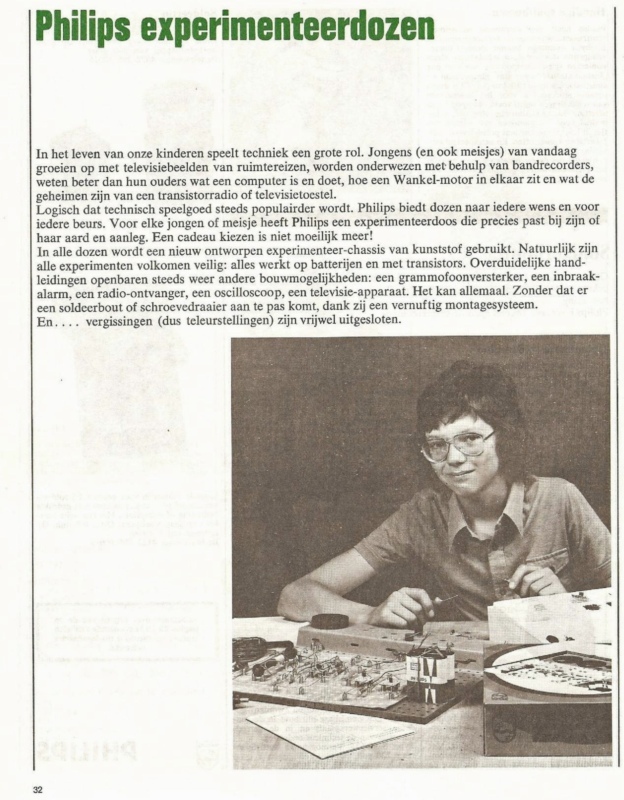 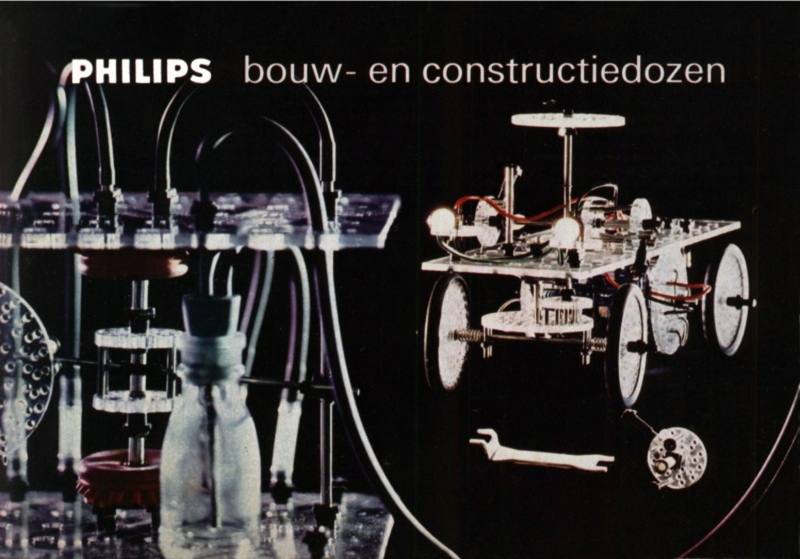 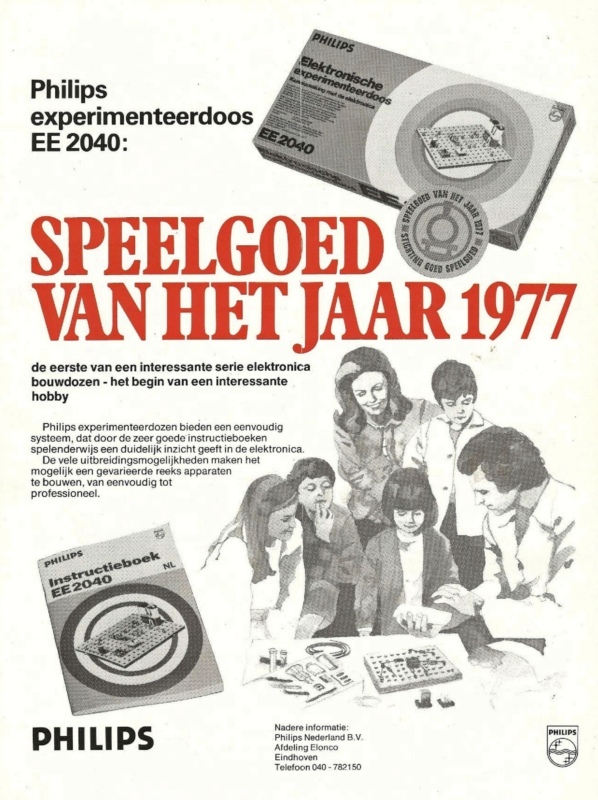 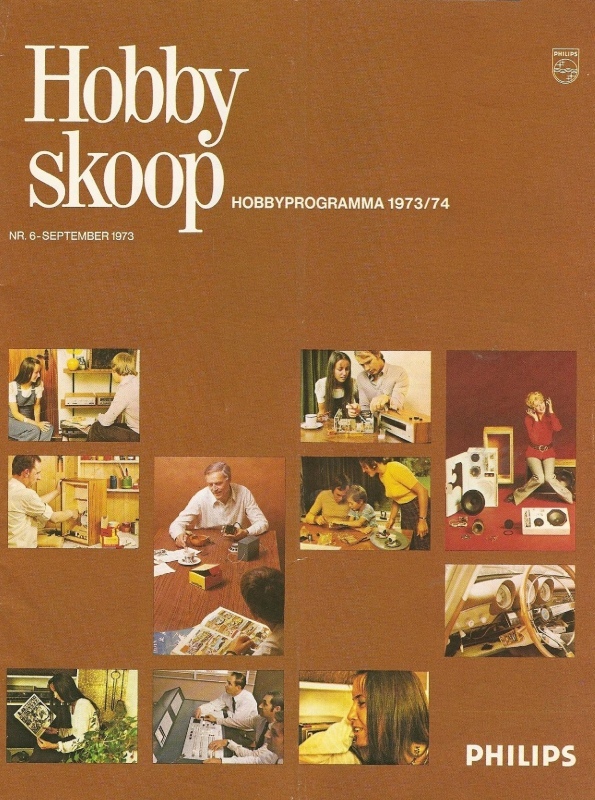 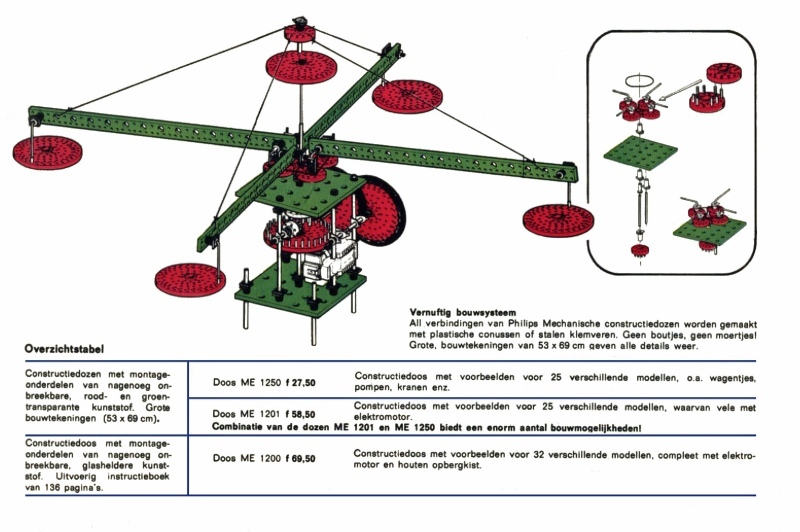 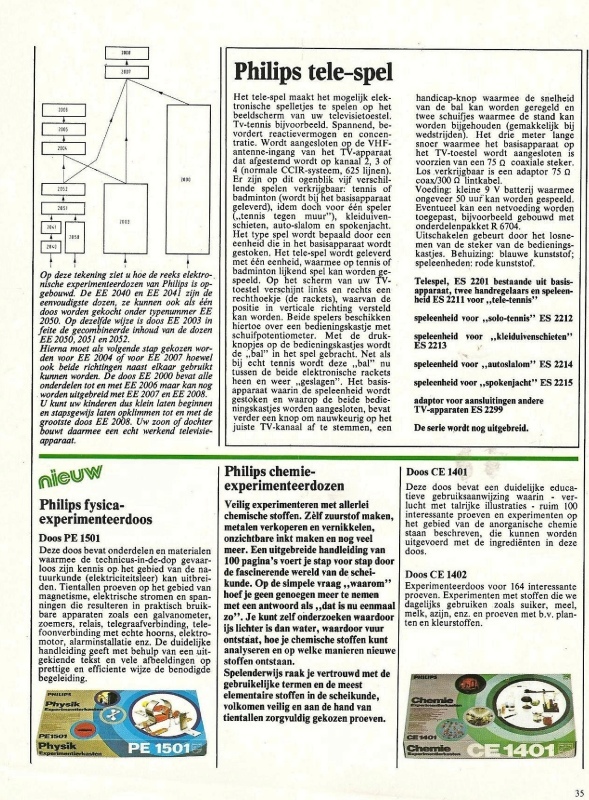 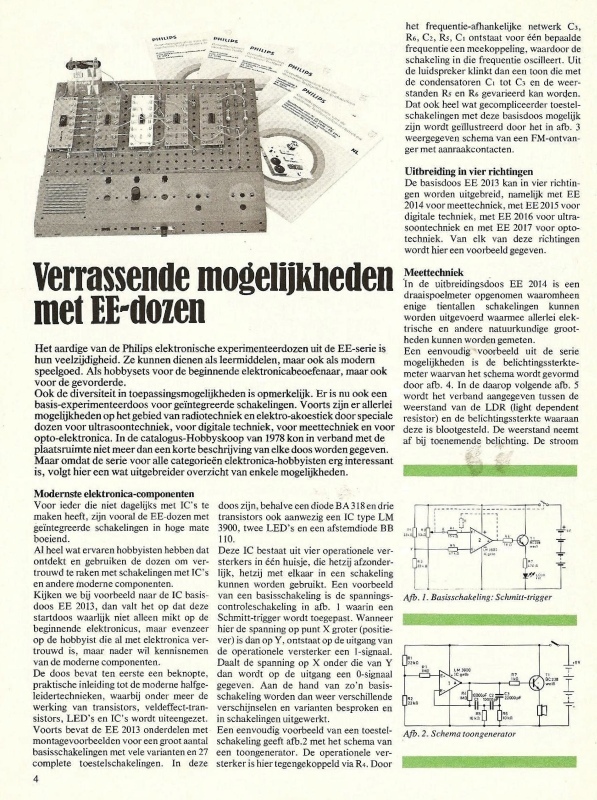 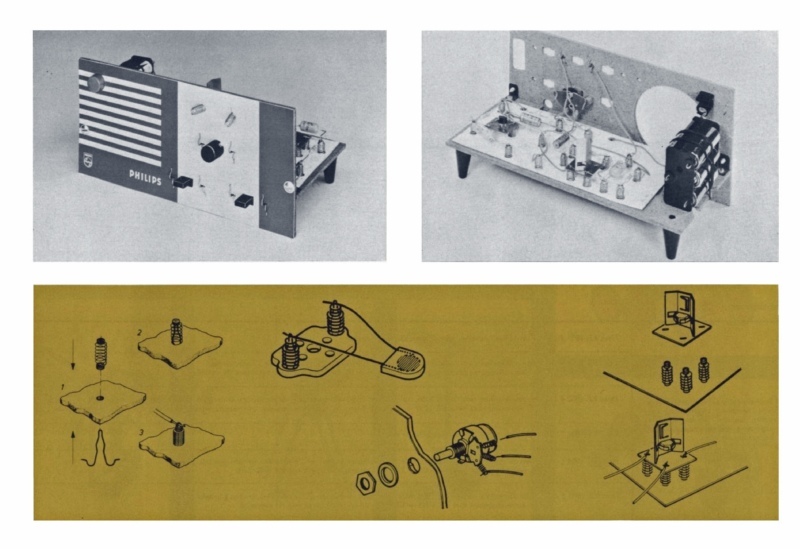 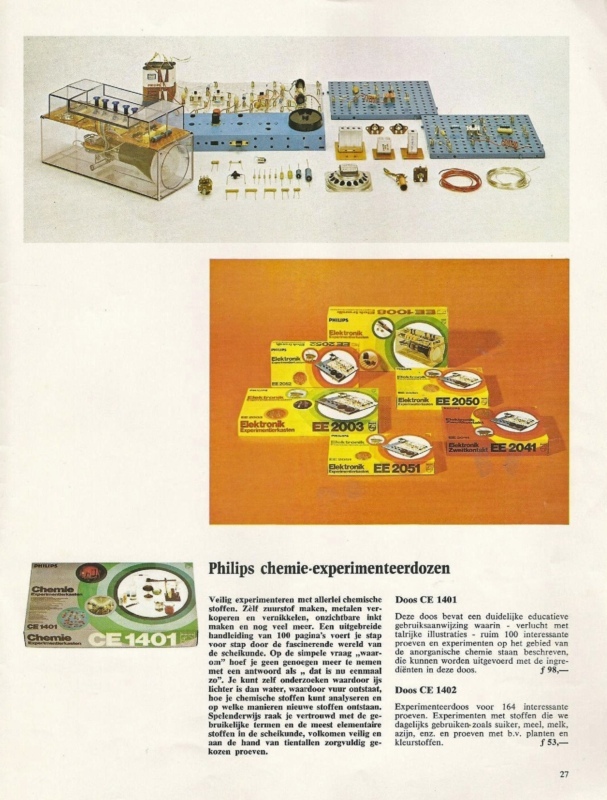 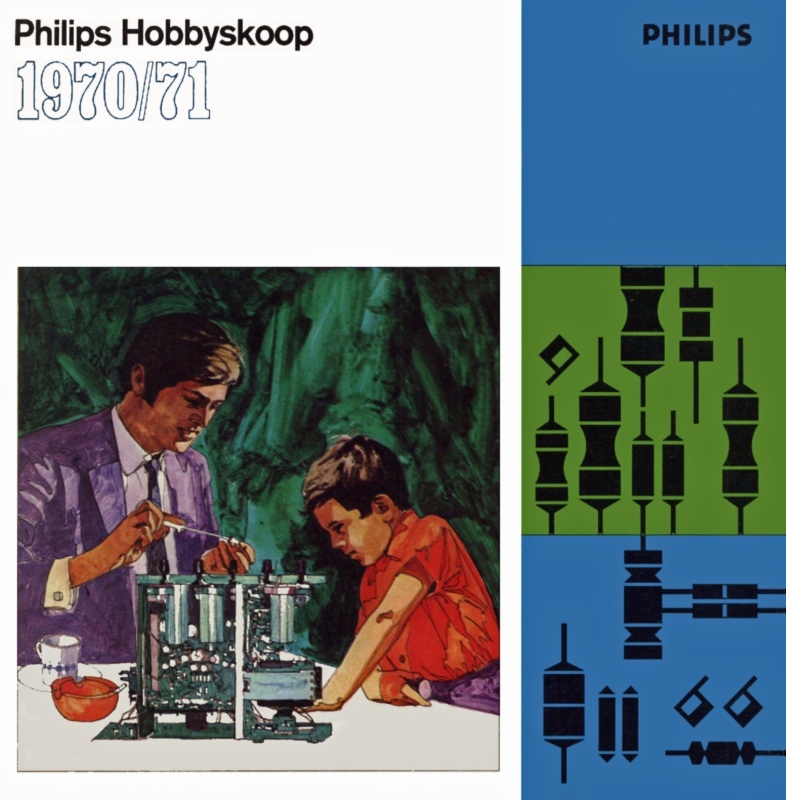 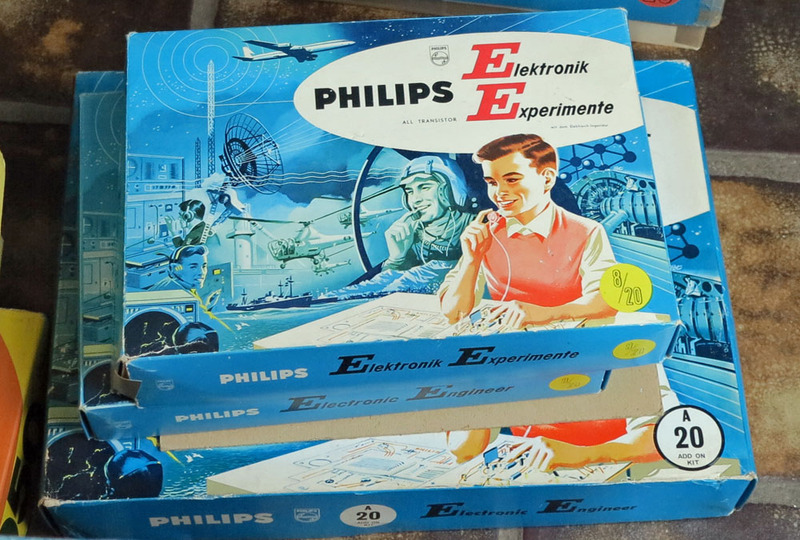 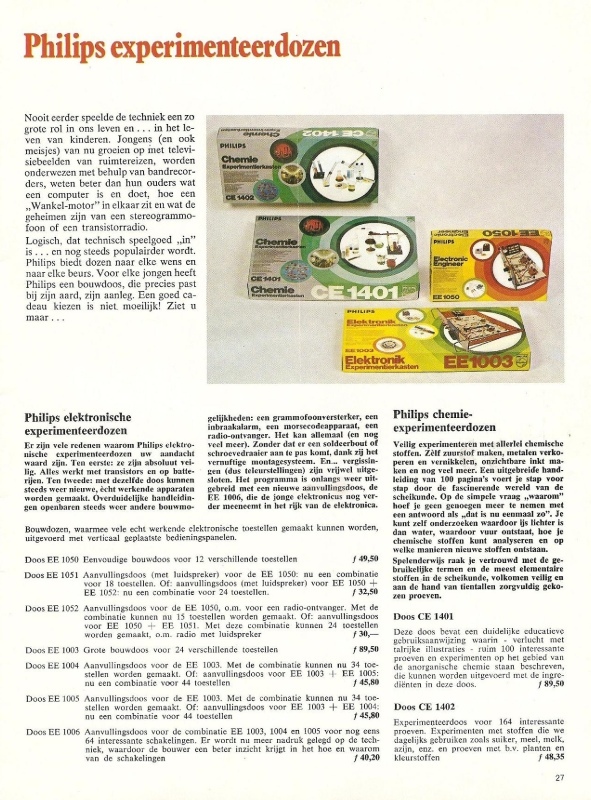 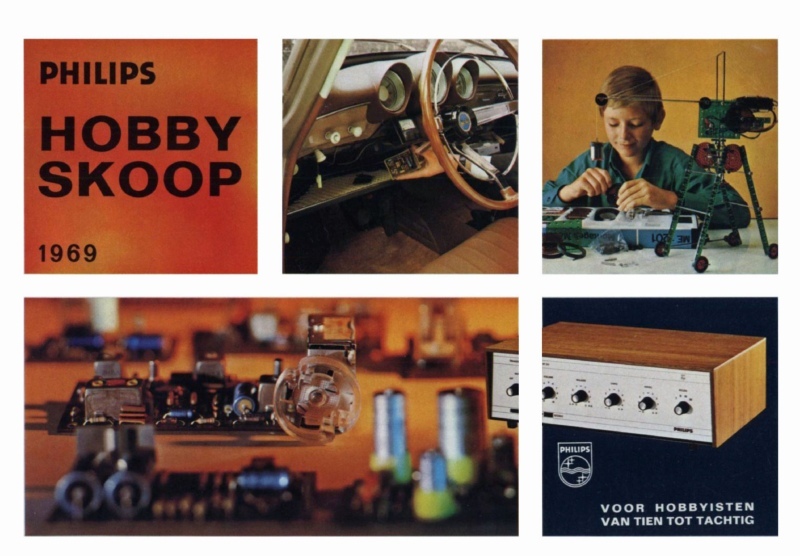 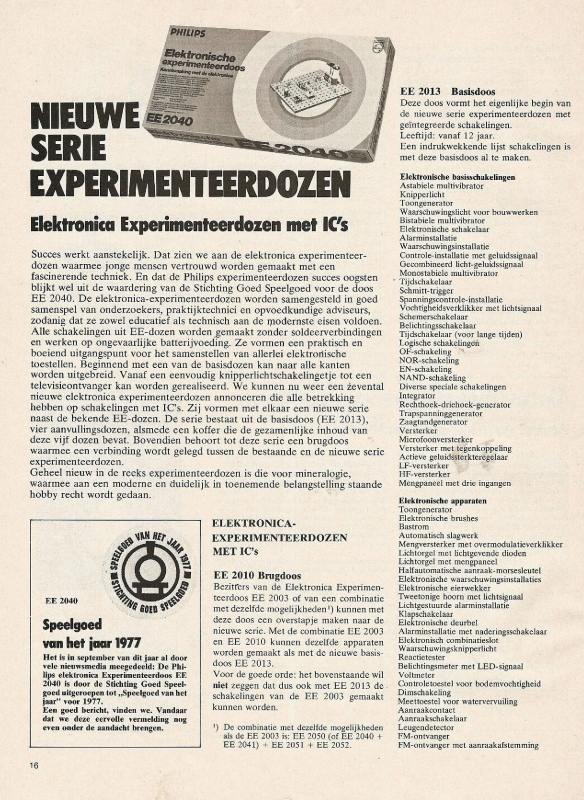 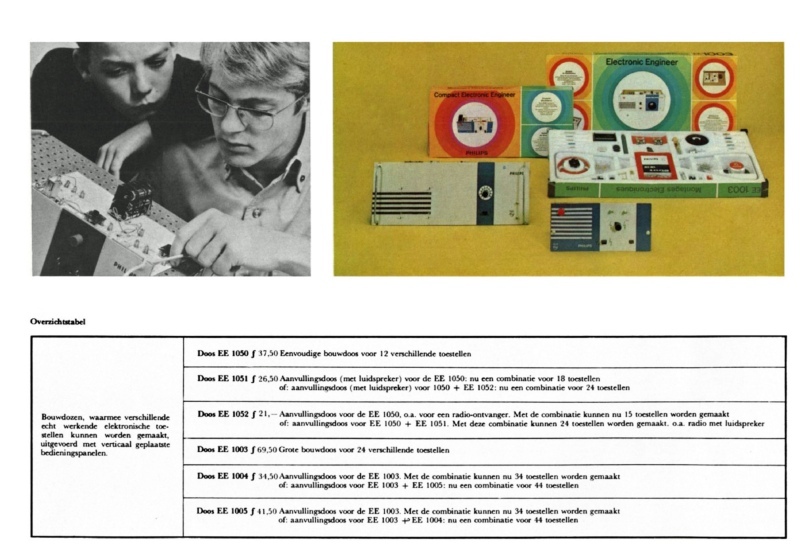 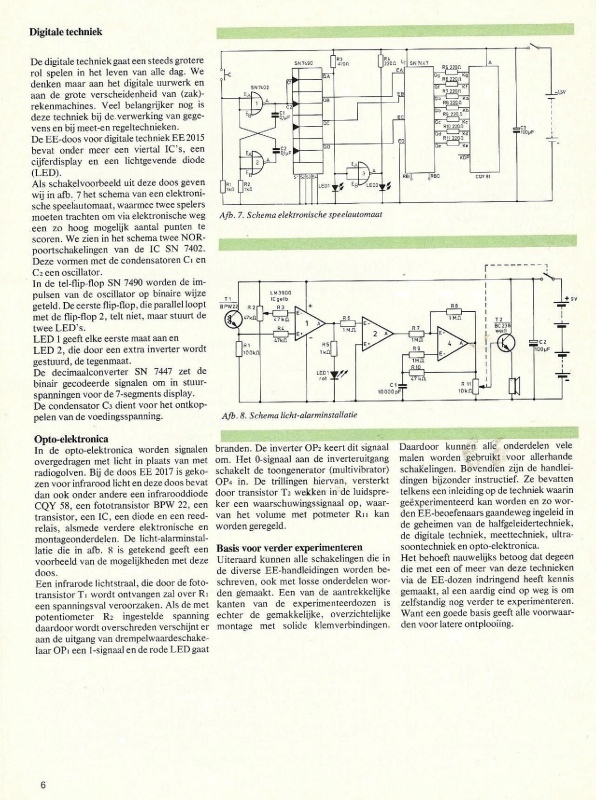 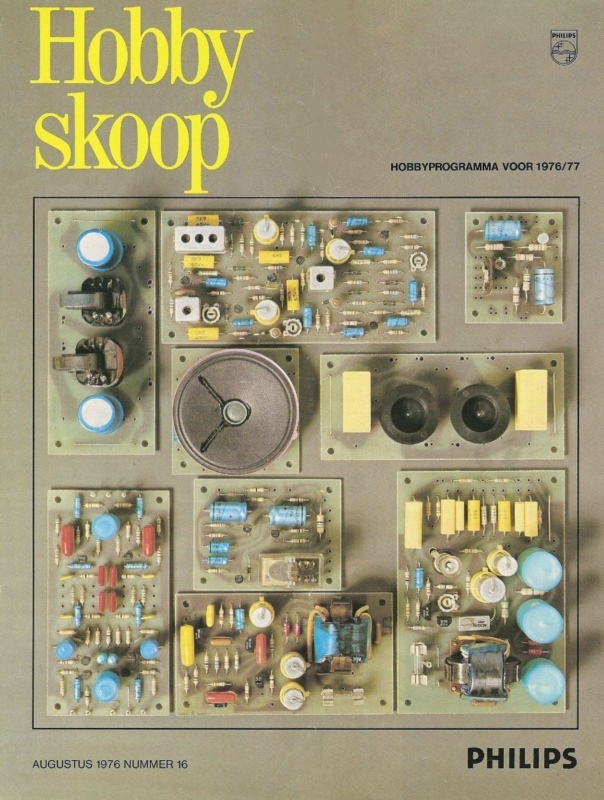 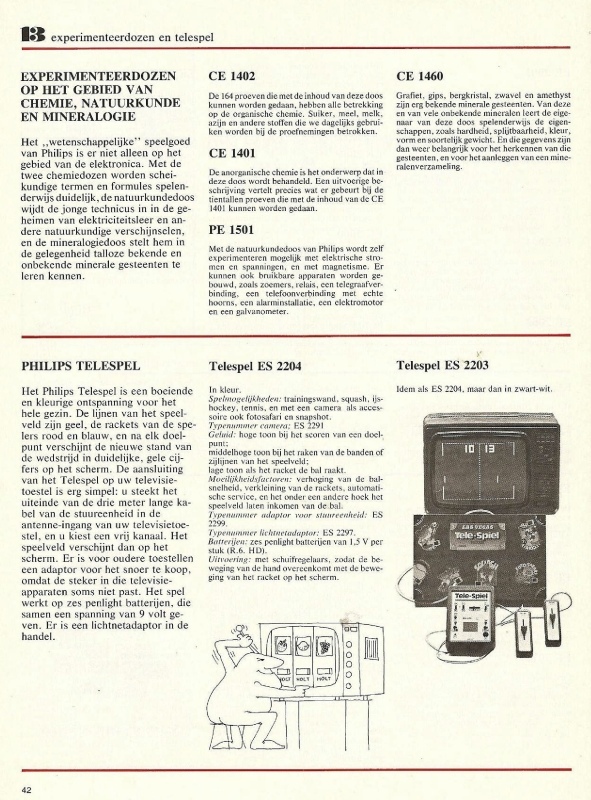 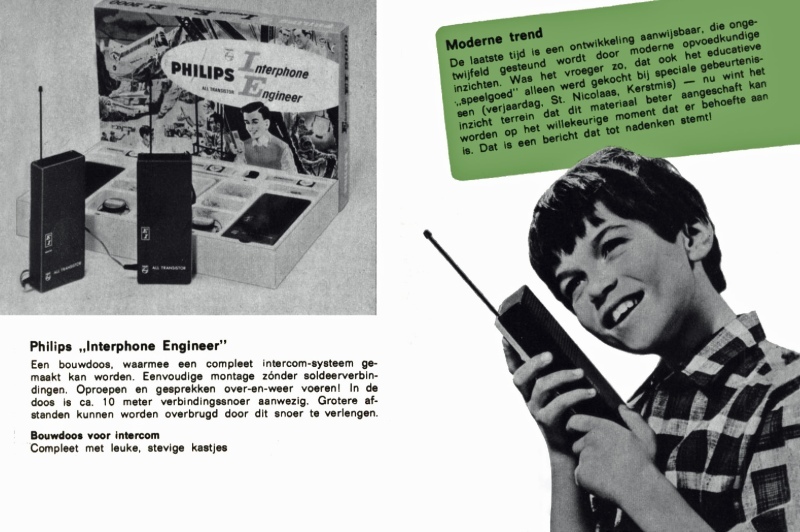 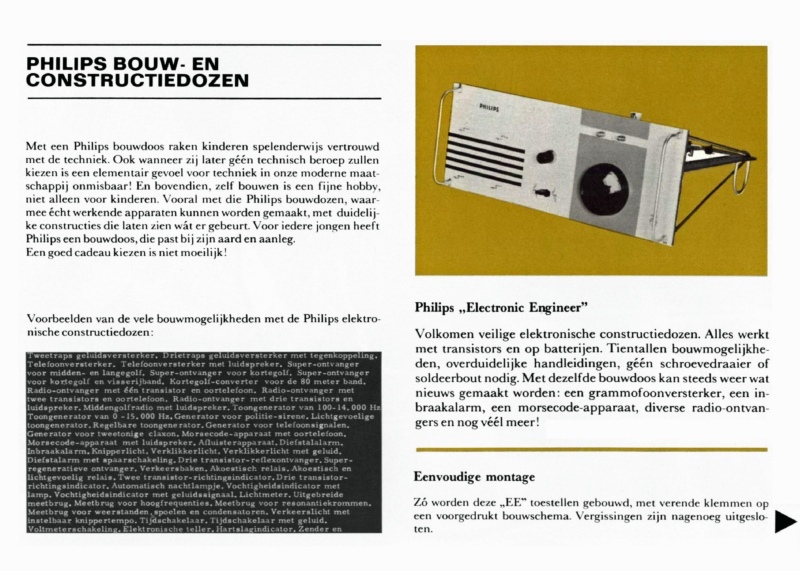 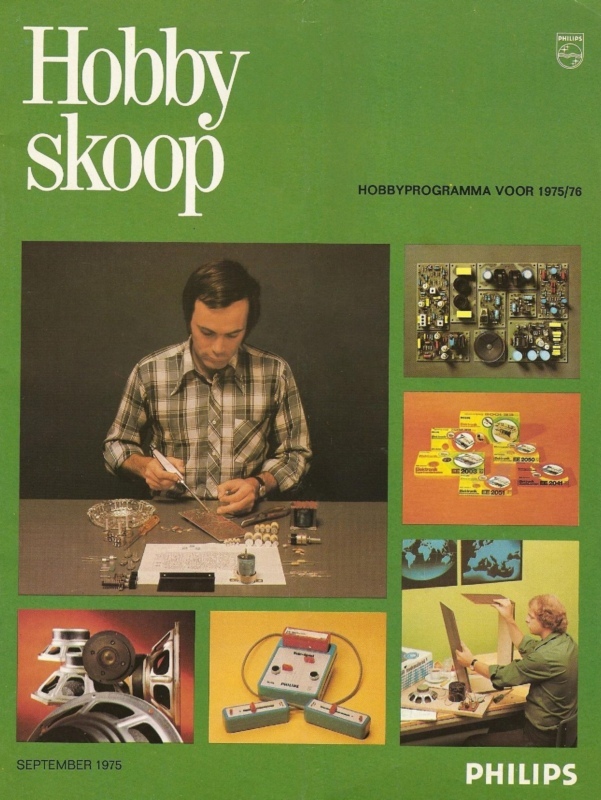 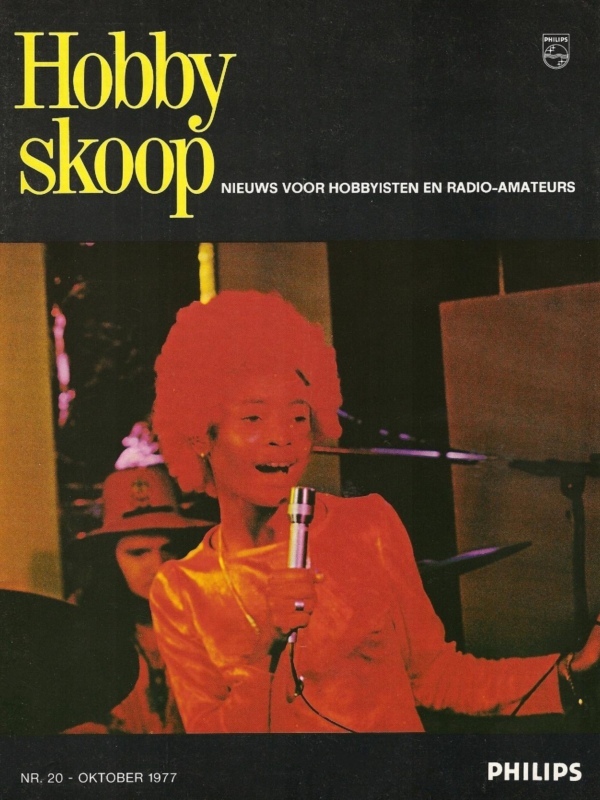 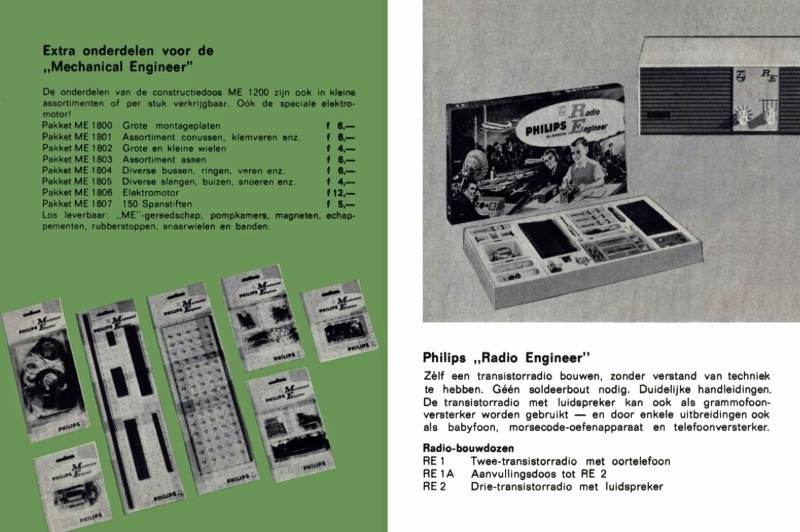 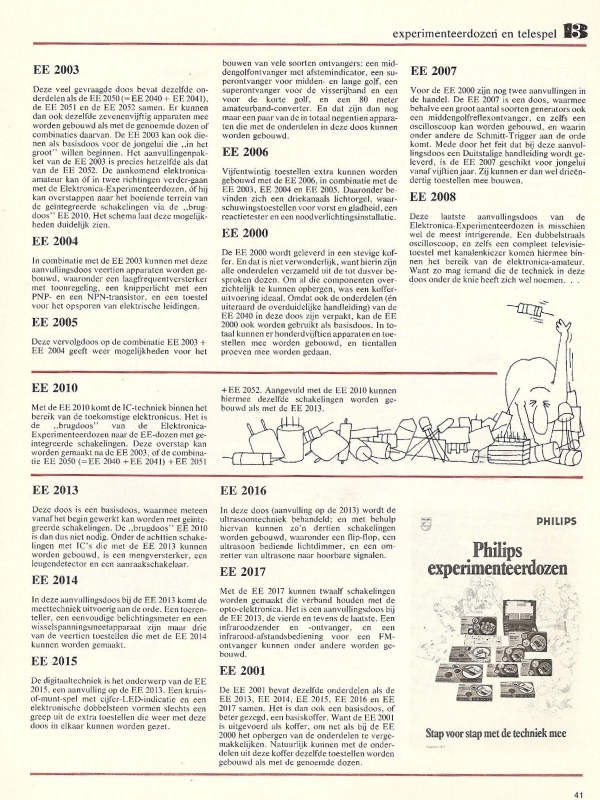 Philips has published a magazine, called Hobbyskoop, from 1968 to april 1980, about 31 issues and 4 specials, devoted to the do-it-yourself audience of the many lines of kits, like the electronic kits shown on these pages. 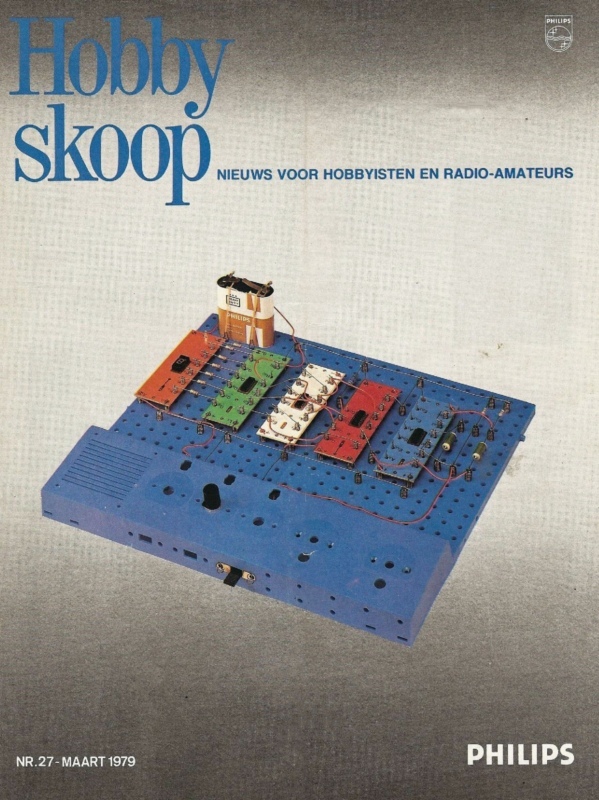 Available in electronic shops and on subscription. 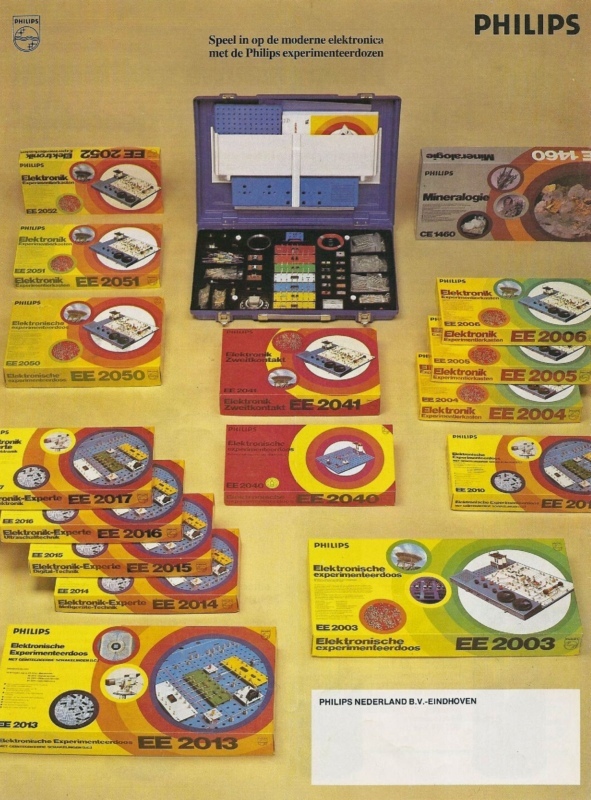 Of interest is the information published on the kits like EE8/20 to EE2xxx series. 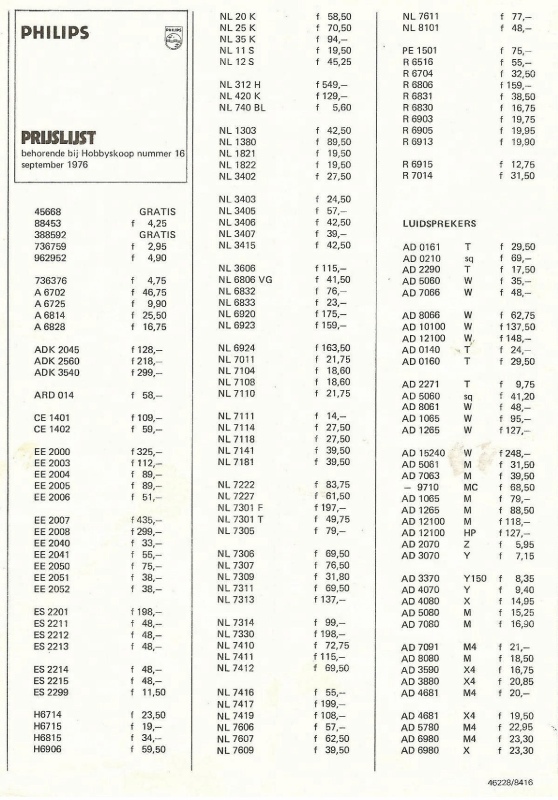 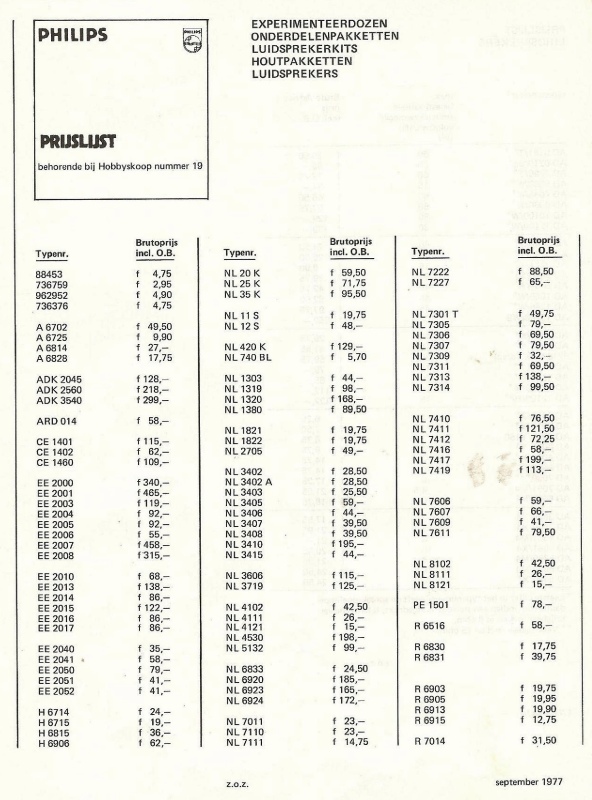 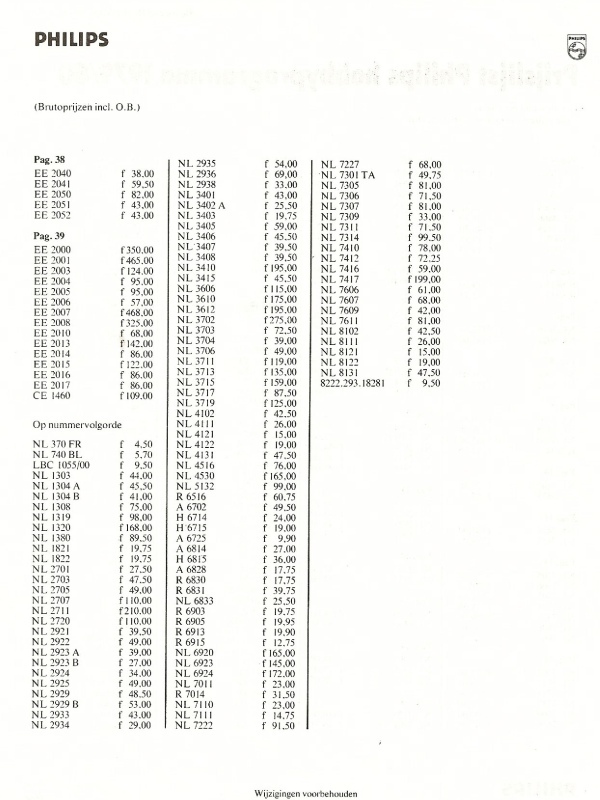 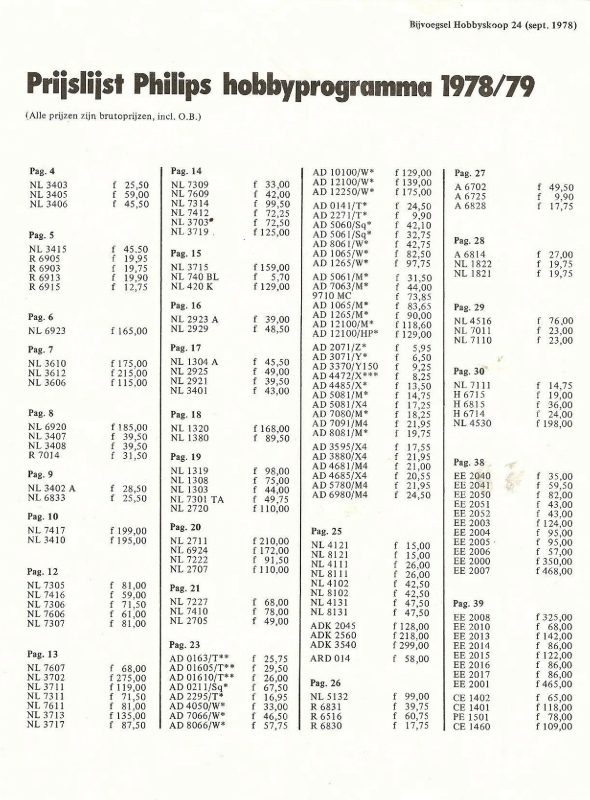 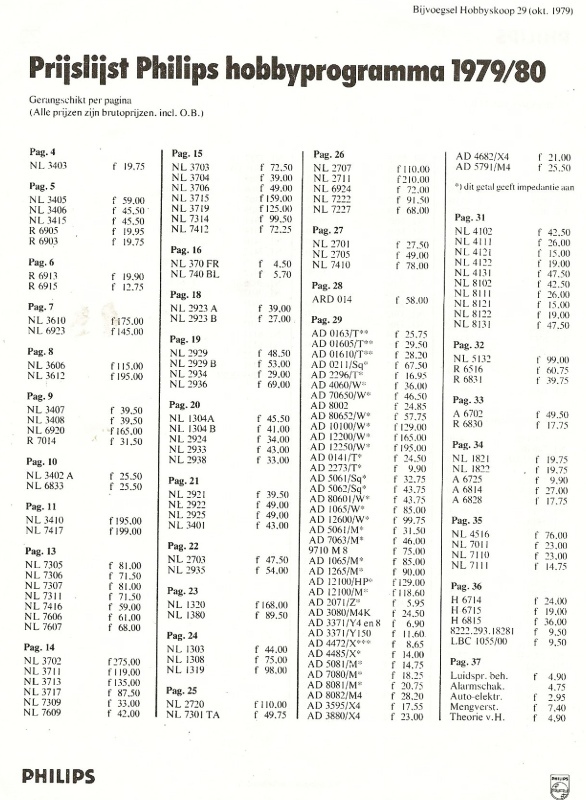 Pricelists, ordernumbers, variants, much can be seen on these pages. 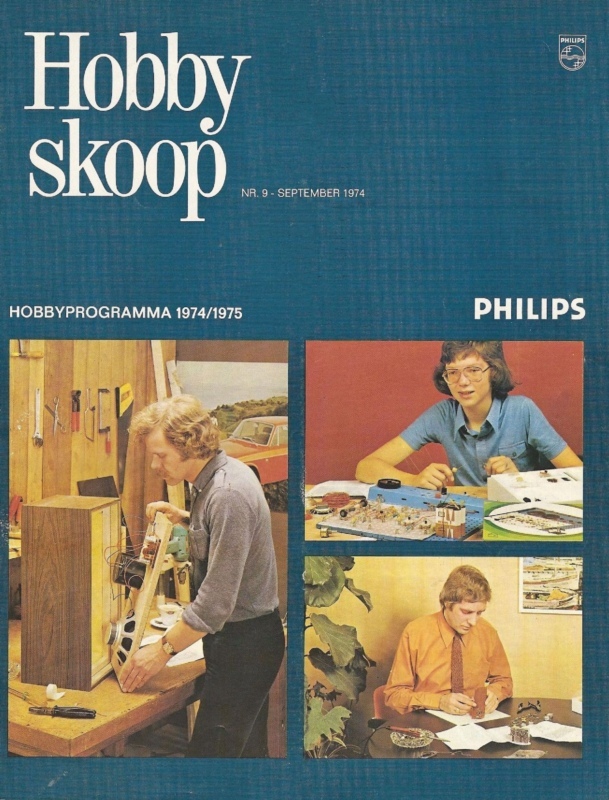 Here I show the pages of interest from Hobbyskoop.